Hello, hello! 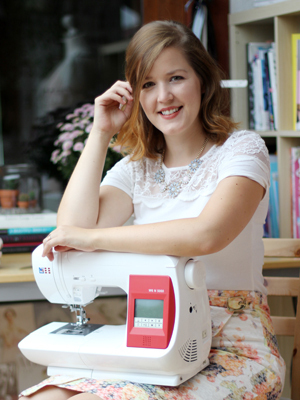 I actually wanted to write this blogpost yesterday, but I HAD TO WATCH THE SEWING BEE! Seriously, how can one not love this show? Anyhow, I thought I might share how I made and added some piping to the Kelly Skirt. This tutorial is a very basic one, so if you already know everything about piping you can read this, this or this instead. 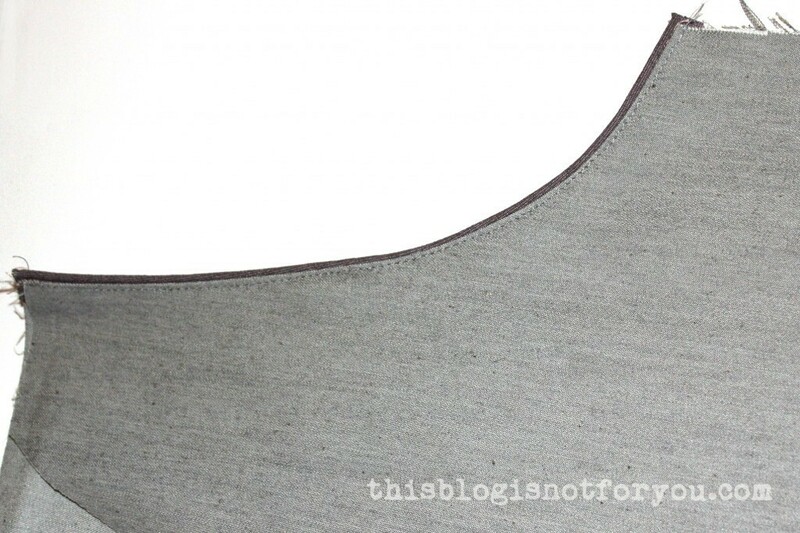 Adding piping to seams is a very easy but effective way of adding some trim to a garment. Piping can be flat or corded. For my Kelly Skirt, I used twine and contrasting bias binding to make my own piping. 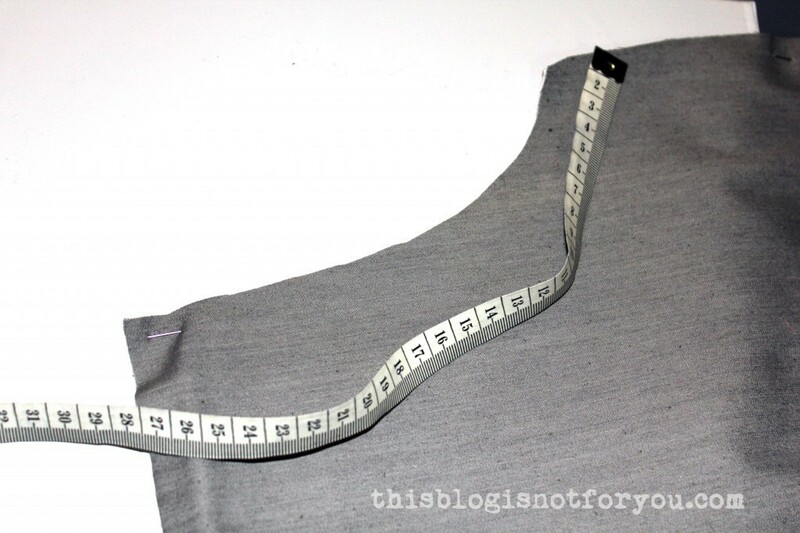 When you make the piping yourself, you don’t want to spend too much time making too much piping, so measure the length of the seams carefully before you start to determine how much piping you will need for your garment. 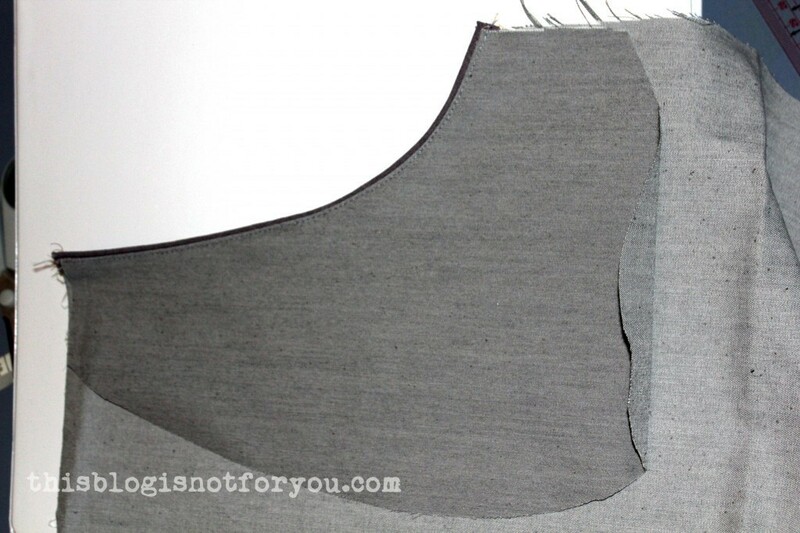 Cut out strips of contrasting fabric (cut on the bias, i.e. at a 45 degree angle) with the desired length. 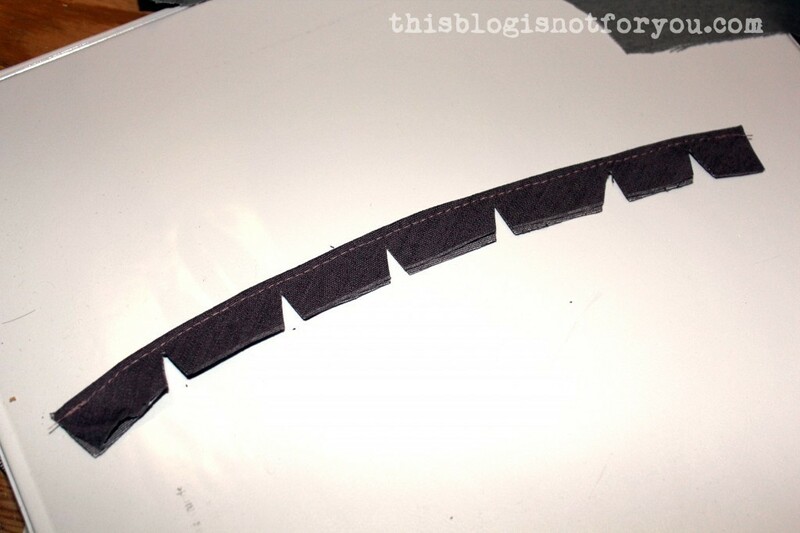 You can add up the lengths of all measured seams (plus a few extra inches) and cut out one continuous strip. The width of the bias strip should be approx. 4cm/1.5” depending on the width of your cording and the desired seam allowance. Use pins to secure the cord to make sure it doesn’t shift out of place. Using a zipper presser foot, stitch very close to the cording. Now trim the piping so that you end up with a nice even 1.5cm or 5/8” seam allowance. As the seams of the pockets are curved, you will have to clip the seam allowance of the piping before attaching it to the pocket seams. This way you will get a nicely shaped curved edge. 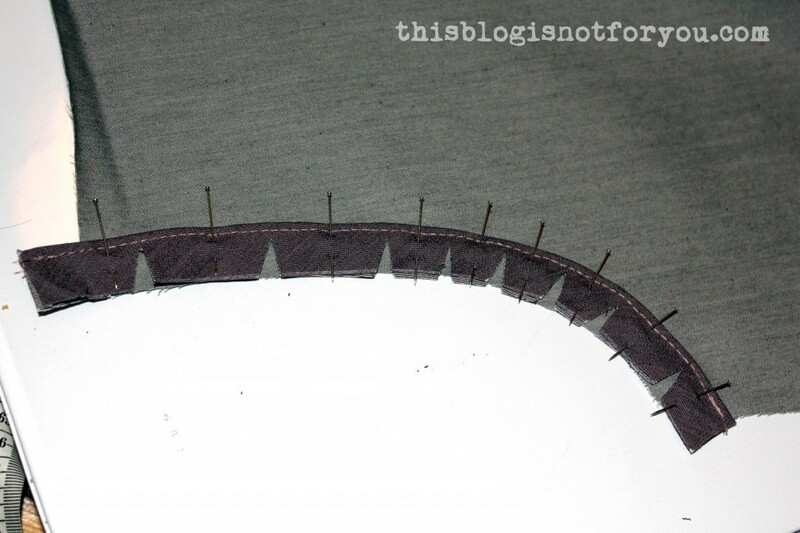 Make sure to clip in regular intervals and don’t accidentally clip into the stitched seam. Place the piping on the right side of your fabric, aligning the edges of the seam allowances (provided both are the same width. 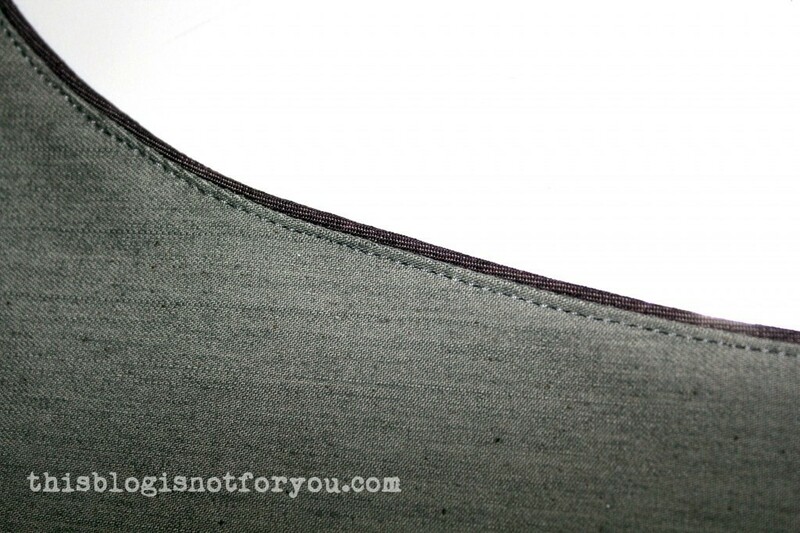 If not align stitched line on the piping with the seamline of the garment piece). 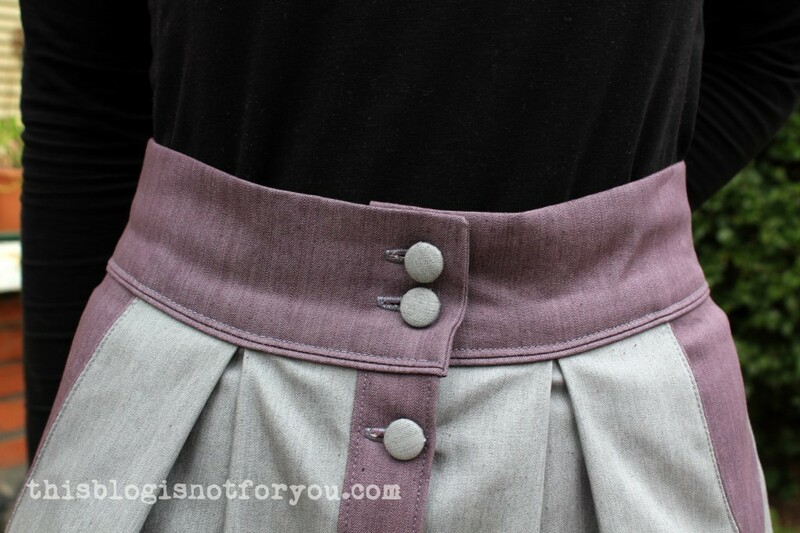 When adding piping to pockets, place the piping on your front skirt/trouser panel. Using the zipper foot, stitch on top of the line you just stitched on the piping. 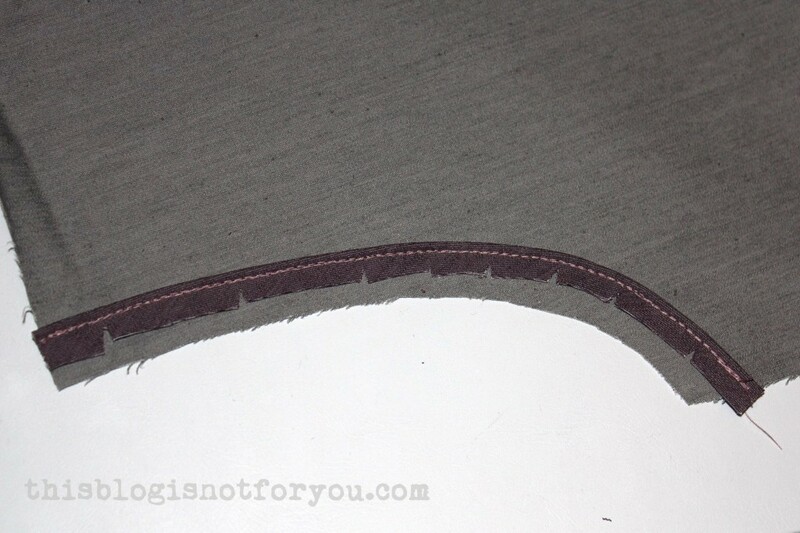 I chose to trim away half of the seam allowance of the piping to remove bulk. 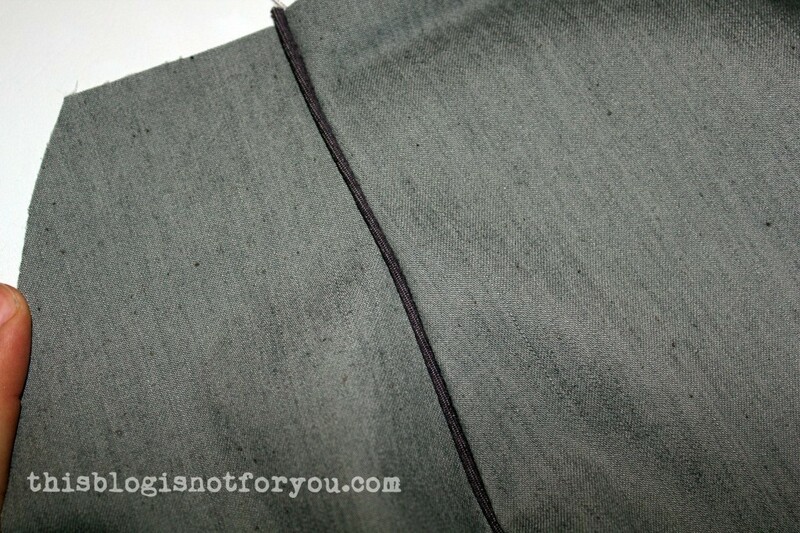 Now sew the actual seam, placing the pocket lining on top with right sides together, again stitching on the same line. 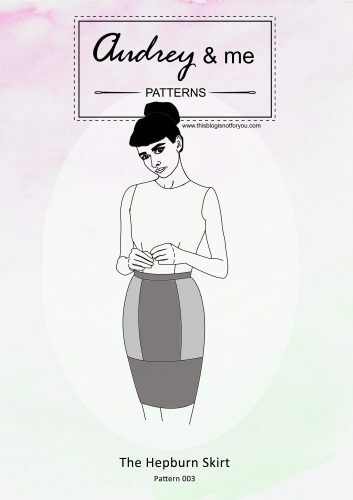 If you sew the two pieces together so that the skirt panel is on top, you can see the stitched line better and it is easier to stitch on top of it. Turn the pieces and give it a good press. 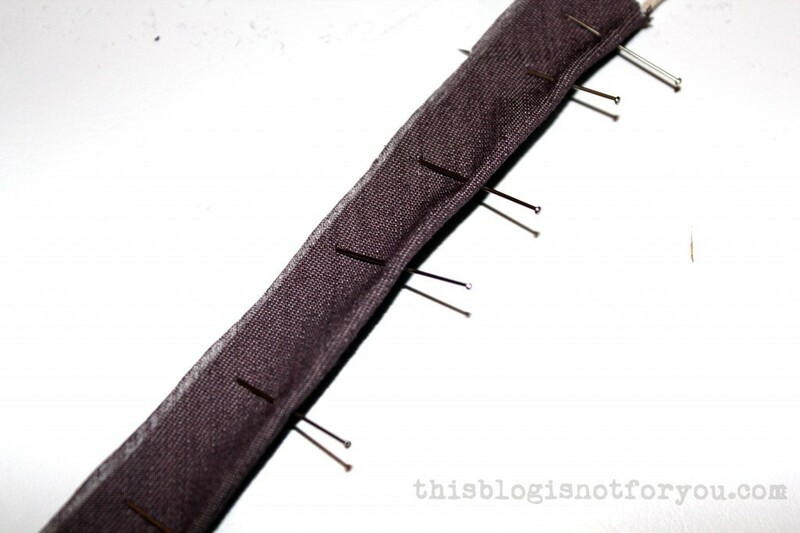 To make sure the lining stays in place, you can either understitch or edgestitch. 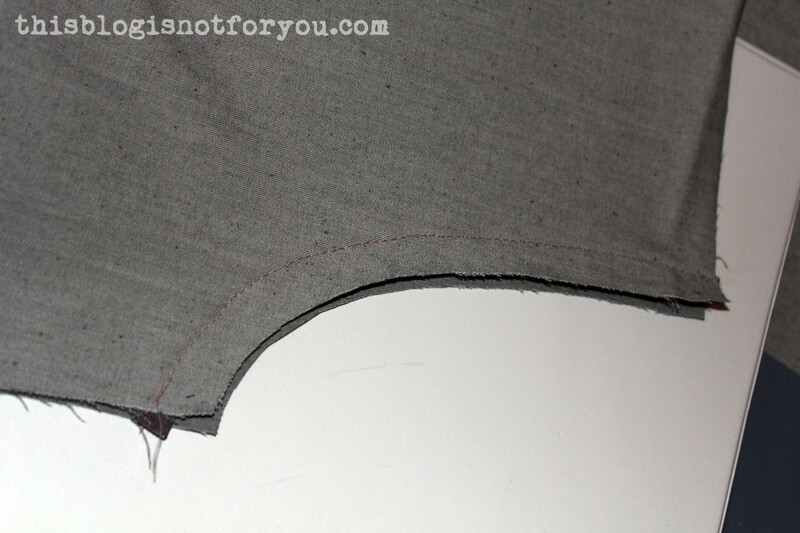 When understitching, you are stitching the pocket lining to the seam allowances, stitching very close to the seam. I chose to edgestitch/topstitch so that the stitched line is visible on both the top panel and the lining. You can either use your zipper foot or an edgestitch foot to do this. 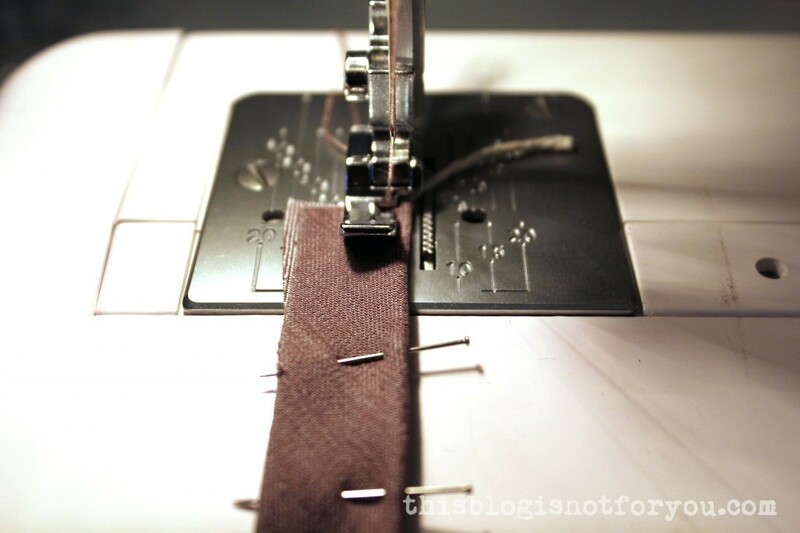 A stitch length of 2mm is recommended when you topstitch. Also, make sure there is enough thread left on your bobbin/spool. 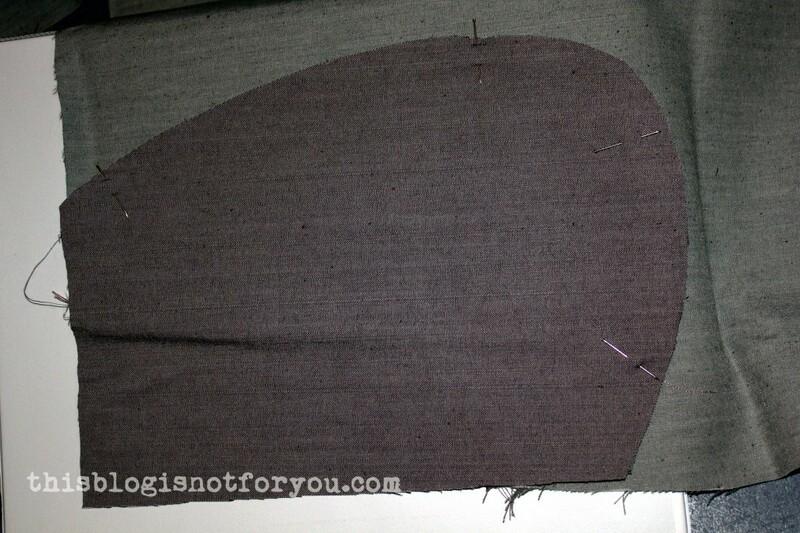 Now place your actual pocket piece on the pocket lining, right sides together. Sew them together. Now you can sew the side seams of your garment and add a waistband. I used the same steps for adding piping to the waistband. After stitching the skirt to the waistband, I pressed the seam allowances up (into the waistband) and topstitched close to the piping, fixing the seam allowance in place at the same time. 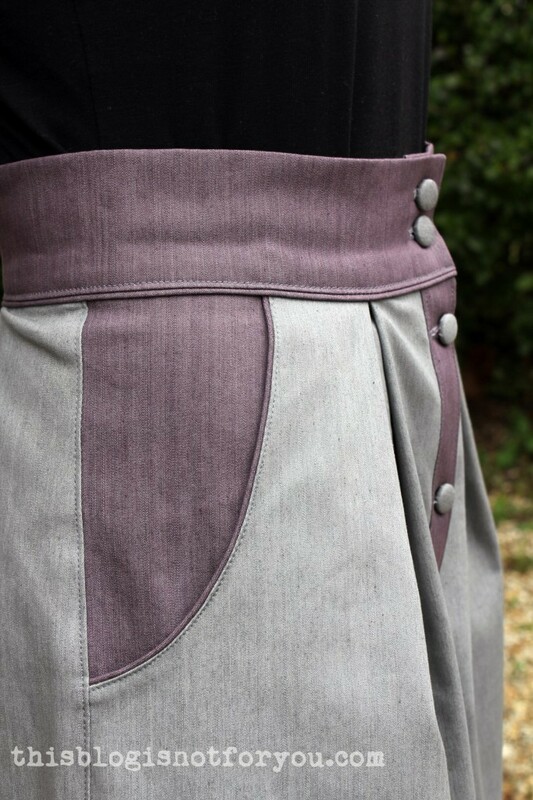 Hint: If your piping is too bulky to be folded over, as you will have to when sewing the waistband (see the small corner under the buttons in the front? 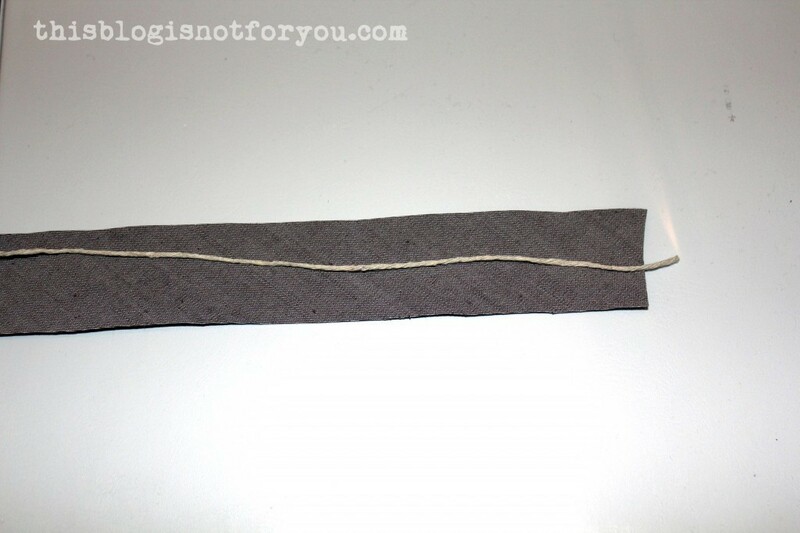 ), gently pull some of the bias strip back, trimming away the length of the seam allowance from the cord. Now the piece of the binding without the cord can be easily folded over and you will get a sharp corner. 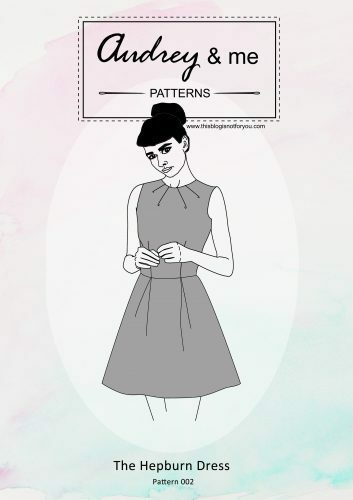 This is perfect timing – I’m happy with doing piping around neckline and cushions, but I am planning to add some to pockets on an upcoming project and yours is so neat! I’m definitely following these steps to a t!